'Roma' is the most personal project to date of the Mexican director and writer Alfonso Cuarón, winner of an Academy Award. 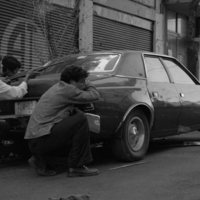 The film chronicles a year in the life of a middle-class family in Mexico City in a turbulent year in the early 1970s. 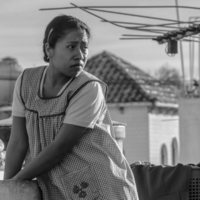 Cleo (Yalitza Aparicio) and Adela (Nancy García García), both domestic workers of Mixtec origin, are young women who live in Colonia Roma, in the middle class neighborhood of Mexico City. Cuarón is inspired by his own childhood in this film and in the women with whom he grew up to make an artistic ode to matriarchy and a realistic and sentimental portrait of the conflicts and social hierarchies that were lived in Mexican homes during the political turmoil of the 70s. 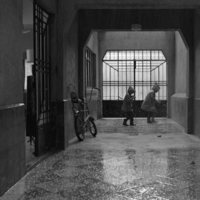 Write your own 'Roma' review. Director Guillermo del Toro, fellow Mexican, has said that Alfonso Cuarón's 'Roma' is on this top five favorite films of all time. In the 2017 edition of the Cannes Film Festival the jury decided not to let the films done exclusively for Netflix or another streaming services participate in the Festival. Stating that this new trends were not faithful to the traditional way of making and watching films. Many filmmakers, Alfonso Cuarón included, protested against this idea, and in 2018 Netflix started a movement to boycott the festival. 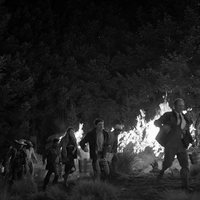 During the production of 'Roma', Cuarón stated on several occasions that festivals and academies should appreciate the films done for these kinds of services. However, 'Roma' was not allowed to screen at the Festival. Later, Cuarón and Netflix reluctantly agreed to show the film on theaters so that it could compete in film festivals.